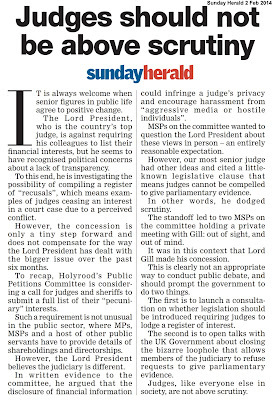 Lord Carloway – offer to give evidence accepted by MSPs. 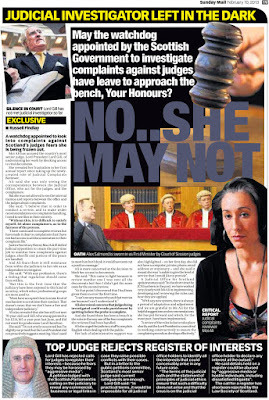 SCOTLAND’S top judge is set to appear before the Scottish Parliament’s Public Petitions Committee after MSPs accepted an offer he made to give evidence in connection with calls to create a register of judicial interests contained in Petition PE1458: Register of Interests for members of Scotland's judiciary. 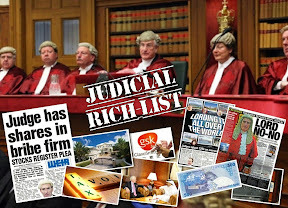 Lord President Lord Carloway - who earns £220,655 a year and counts among his titles that of “Lord Justice General” as head of Scotland’s judiciary – made the offer in a detailed letter offering some concessions to MSPs which has now been published by the Scottish Parliament. 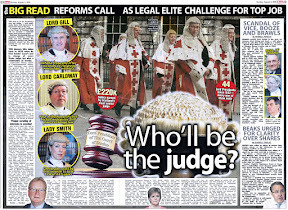 However, while Lord Carloway (real name Colin Sutherland) gave concessions to calls for expanding an existing “register of recusals” in which judges are now required to publish details of cases in which they step aside, the top judge maintained his grim opposition to judicial transparency and the creation of a register of judges’ interests for members of Scotland's elite, wealthy judiciary. 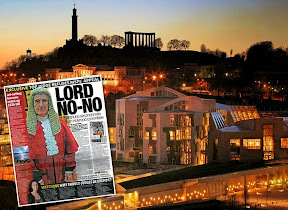 Lord Carloway’s offer to attend the Petitions Committee was welcomed by the petitioner, reported earlier here: TO PARLY, M’LORD: Scotland’s top judge Lord Carloway finally offers to give evidence to Scottish Parliament probe on register of judges’ interests. 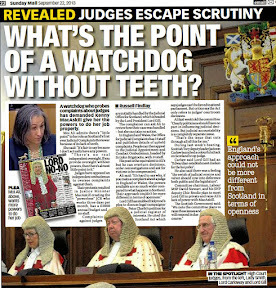 Carloway’s offer to give evidence was further welcomed by Angus MacDonald MSP (SNP, Falkirk East) – who proposed taking up Lord Carloway’s offer to give evidence to the long running, and widely supported proposal to create a register of judicial interests. 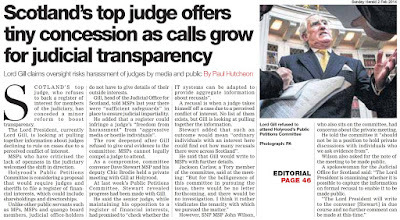 Members of the Committee unanimously backed Mr MacDonald’s proposal to call in the top judge. 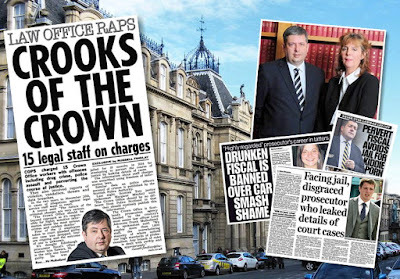 The Public Petitions Committee has since indicated an invitation will be issued to Lord Carloway to attend a future hearing to give evidence. 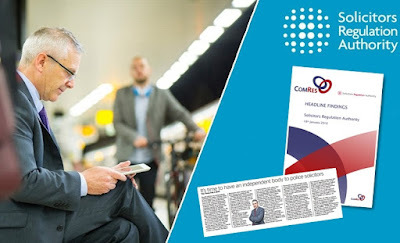 At the same meeting, the Committee Convener Johann Lamont MSP (Scottish Labour, Glasgow) informed members the Committee had received a request from former Cabinet Secretary Alex Neil MSP (SNP, Airdrie & Shotts) to appear before the Committee. 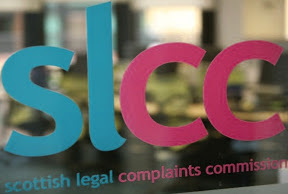 Ms Lamont and members of the Committee backed the request from Alex Neil, who will join the hearing when Lord Carloway attends the Petitions Committee at a date to be decided. 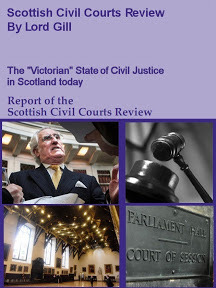 The proposal to bring greater transparency to Scotland’s judiciary - Petition PE1458: Register of Interests for members of Scotland's judiciary - first debated at the Scottish Parliament’s Public Petitions Committee in January 2013 – calls for the creation of a publicly available register of judicial interests – containing information on judges’ backgrounds, figures relating to personal wealth, undeclared earnings, business & family connections inside & outside of the legal profession, membership of organisations, property and land, offshore investments, hospitality, details on recusals and other information routinely lodged in registers of interest across all walks of public life in the UK and around the world. 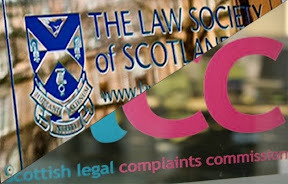 The Convener: The next petition is PE1458, by Peter Cherbi, which calls for the introduction of a register of interests for members of Scotland’s judiciary. 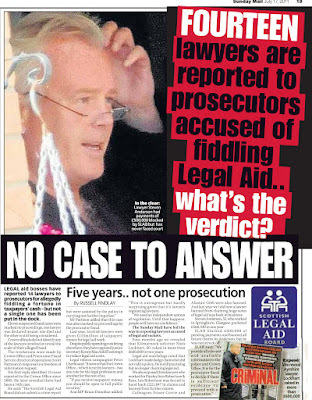 When we last considered the petition, we agreed to seek further information from the Lord President and the Judicial Complaints Reviewer. Responses have been received from both and we also have submissions from the petitioner and a member of the public, Melanie Collins. 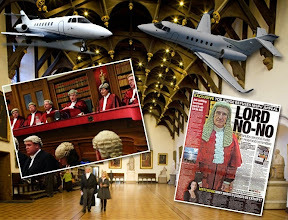 Members will recall that, when we wrote to the Lord President, we repeated our invitation to him to provide oral evidence, which he has now indicated that he would be willing to do. We express our gratitude for that. Do members have any comments on further action to take on the petition? 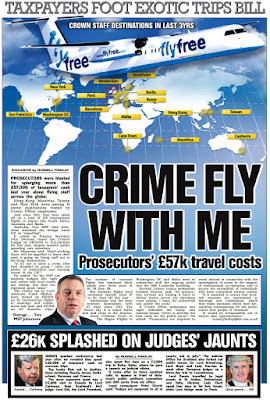 Brian Whittle: I am glad that the Lord President has agreed to give evidence. That seems like what we should do next. Angus MacDonald: I have followed this petition from day 1—I think that it was lodged in December 2012—and have deliberated on it for more than four years. It is encouraging and refreshing to note that the Lord President has offered to provide oral evidence to the committee, given the difficulties that we had with arranging for the previous Lord President to give evidence to us. 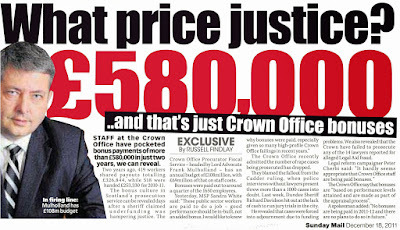 We should take up Lord Carloway’s offer. The Convener: We should also note that Alex Neil MSP has expressed an interest in speaking to this petition but is unable to be here today. 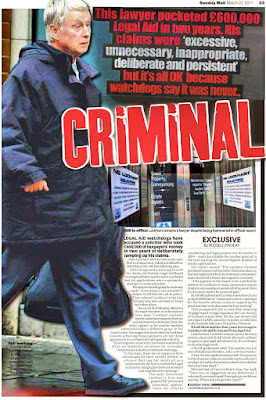 It might be that he could attend the meeting with the Lord President. 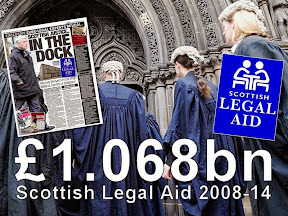 Angus MacDonald is right that this is a step forward. 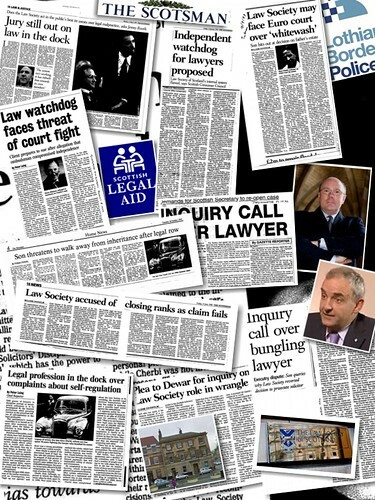 Do we agree to invite the Lord President to give evidence at a future meeting, and see what comes out of that? 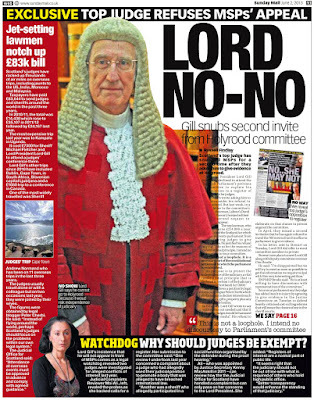 Lord Carloway’s impending attendance at the Public Petitions Committee was featured in “The National” newspaper. 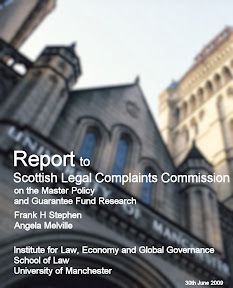 The report also carried concerns from members of the legal profession they may be next in having to fill out registers of interest for clients to inspect. 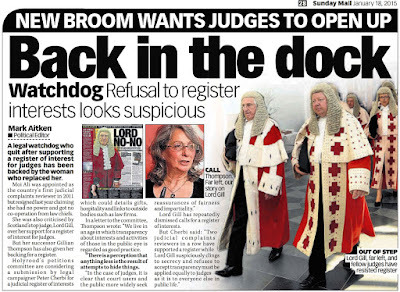 SCOTLAND’S most senior judge Lord Carloway, the Lord President of the Court of Session and Lord Justice General, is to be quizzed in public by MSPs for the first time on the issue of a register of interests for judges. 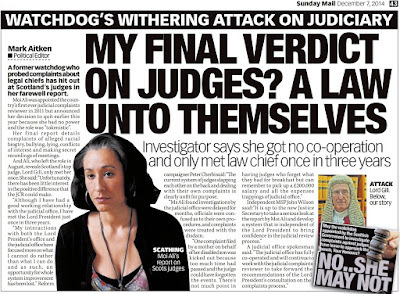 The head of the Scottish judiciary will appear at a future meeting of the Public Petitions Committee which has been investigating the matter since December 2012 after legal campaigner Peter Cherbi called for a public register of judges’ interests. 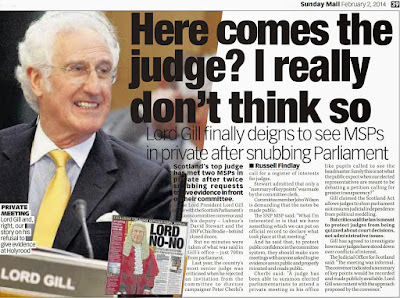 Previous Lord President Lord Gill refused to appear in public before the committee, but did give evidence later, arguing against a register. 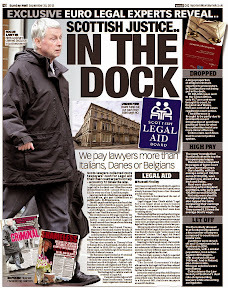 The National understands the main fear among senior legal figures is that the register would eventually be extended to advocates and possibly even solicitors, and that judges would also have to declare their shareholdings in companies, thereby indicating their personal wealth. 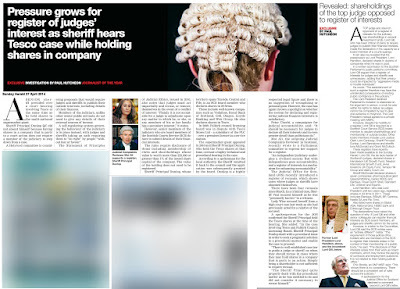 In a letter to the committee, Lord Carloway stated: “One possible inhibitory effect on the administration of justice is that judges may start to decline positions on important public bodies such as these if that requires the disclosure of financial interests. 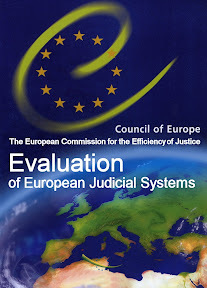 However, the official Judicial Complaints Reviewer, Gillian Thompson, wrote to the committee saying: “I recognise that every judicial decision leaves a party that is dissatisfied and that a complainant may feel he or she did not get a fair hearing because the decision went against them. 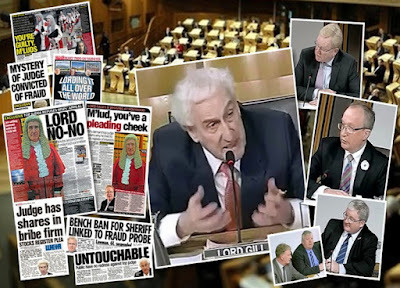 Petitioner Peter Cherbi said: “I am delighted MSPs have taken up Lord Carloway’s offer to give evidence on the widely supported proposal to create a register of judicial interests. 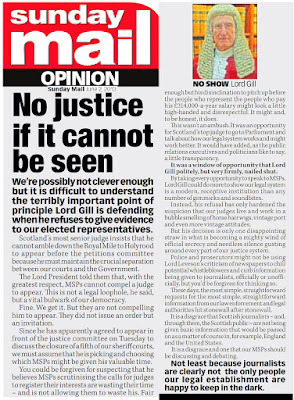 “As the Petitions Committee have also decided to invite Alex Neil MSP to the same meeting, I am hopeful of significant lines of questions being put to the Lord President on failures within the judiciary to recuse themselves and declare interests when it counts in court. 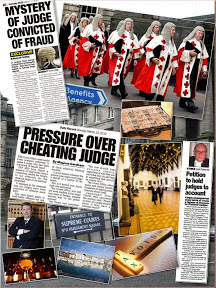 SCOTLAND’s top judge has said he will strengthen the rules on judicial ethics amid concerns over the system for declaring conflicts of interest. 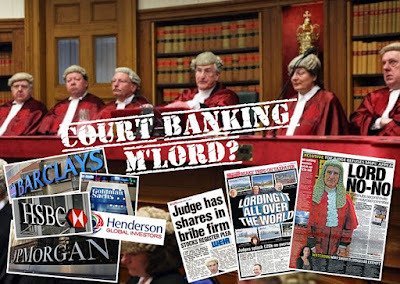 Lord Carloway has agreed that publishing details of when judges and sheriffs have declined to “recuse” themselves [stand down] from cases may provide “additional transparency”. 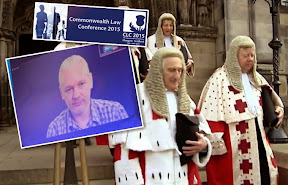 However, he has stopped short of supporting a full register of interest on the grounds that criminals could use the information to target his colleagues. 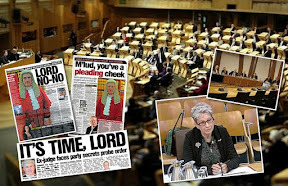 Holyrood’s Public Petitions Committee has for four years been considering whether judicial office holders should be compelled to publish details of their outside interests. 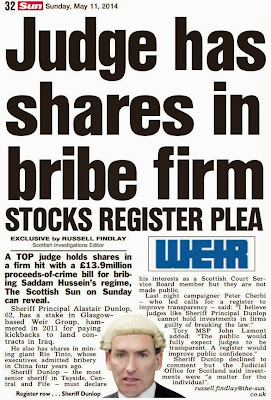 Under the plan, judges would be required to declare details of shareholdings, directorships and membership of bodies. 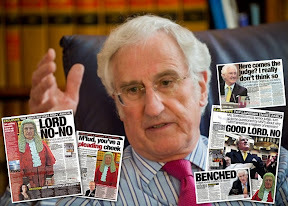 The previous Lord President, Lord Gill, was against the proposals as he feared judges’ privacy could be compromised by “aggressive media or hostile individuals including dissatisfied litigants”. 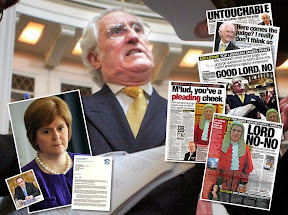 He also initially refused to give oral evidence in front of MSPs – citing a legal exemption – before eventually appearing after he left office. 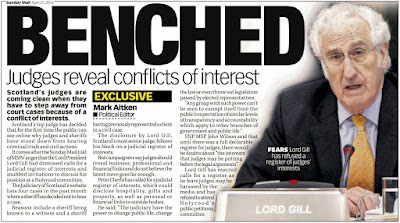 However, on Gill’s watch, the Judicial Office for Scotland (JOFS) introduced a register of recusals which reveals when judges and sheriffs came off a case due to a potential conflict of interest. 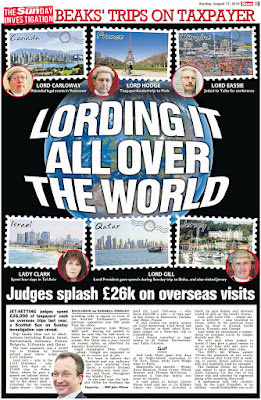 Since 2014, there have been over 70 instances declared on the JOFS website, but campaigners believe the disclosure requirements do not go far enough and want a mandatory register of interest. 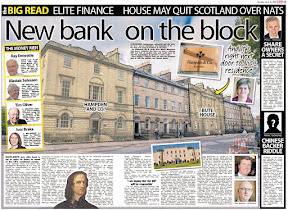 He has also agreed to provide oral evidence to MSPs, if they still feel it is necessary, but he stepped up his criticism of a register of interest. 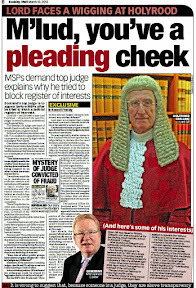 Tory MSP Jackson Carlaw said: “It seems that the judiciary may now be ready to respond to the calls made for some time and come into line with other elements of public life when it comes to declaring interests. It’s a move that’s been resisted for too long, and people are growing impatient about the ongoing prevarication. 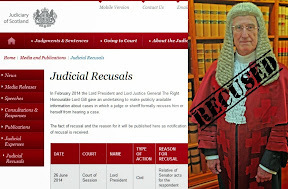 A spokesperson for the Judicial Office for Scotland said: “The Lord President intends to amend the register of recusals to include details of cases where a judge has declined to recuse, and this change will be implemented as soon as the necessary guidance is drafted and issued”. 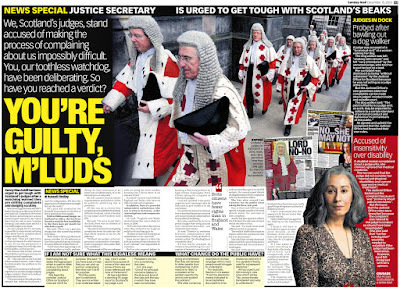 Previous articles on the lack of transparency within Scotland’s judiciary, investigations by Diary of Injustice including reports from the Sunday Herald and Sunday Mail newspapers, and video footage of debates at the Scottish Parliament’s Public Petitions Committee can be found here : A Register of Interests for Scotland's Judiciary. 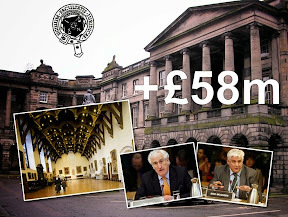 Well done Peter!Whatever result you get on your petition eventually I think Scotland owes you a hell of a debt getting these judges into OUR parliment to explain how much they hate openness and being held to account finally by someone who knws what he is talking about!I know you dont go in for accolades but please print my comment!Thanks so much is always a treat to reads your stories about judges! 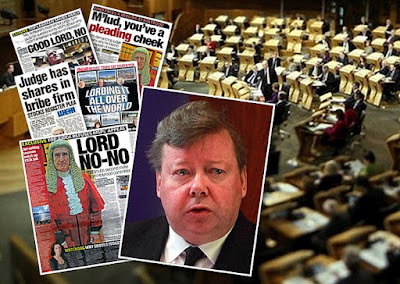 So Lord Carloway does not want the Lord NO-NO tag his predecessor landed on his colleagues.Also I like your comments in the National about Carloway doing the right thing.If he has any sense he will.This has gone on long enough so make your register law now. Ha! 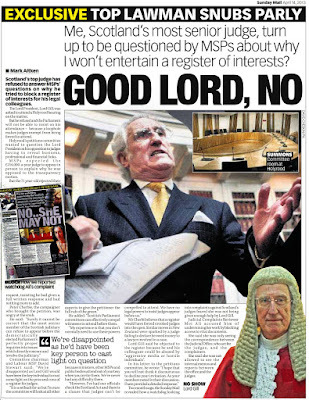 Couldn't have happened to a nicer person.His offer to attend committee was made in the last para of the letter.Clearly not meant to be taken up rather here is my letter and a grudging addition to detail published in the list of recusals instead of his gracing committee with feted presence of the Lord Justice General played in with pomp and circumstance. 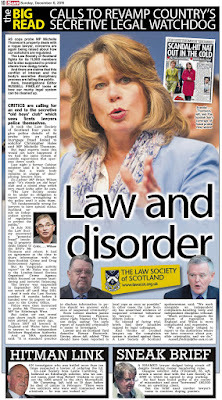 What I cannot understand is the four plus year debate after so much support and headlines.The msps must act and bring your petition and the register to law no matter what Carloway says and if he resists all the more necessary for msps to act sooner than later.Also a message to anyone from bbc scotland reading this don't think many of us haven't noticed your lack of coverage compared to the newspapers.The only thing you can now rely on bbc Scotland to do is cover something up unless they can claim sole credit for droning on about some issue for yonks and be showered with awards for doing it.Not much of a national broadcaster are they. 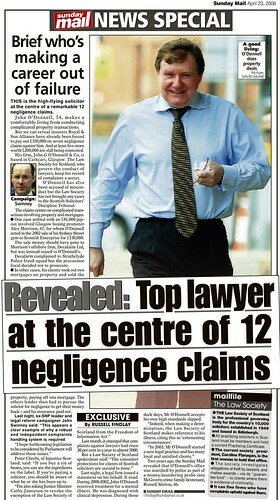 Maybe MD would like to tweet what happened in Pollockshields awhile back and was this before or after the expletive laden FB rant on Lindsay Montgomery. 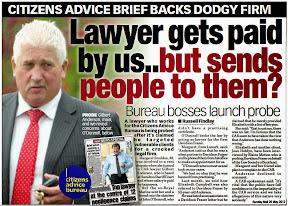 Well done dragging him along although as I note others have observed his offer may not have been meant in the spirit welcomed by the committee.There must be something special about your petition because Carloway told the Justice Committee to get stuffed on their Crown office inquiry yet he volunteers to go along to yours.Better watch out for arranged lines of questioning via the man who wants to shut your petition down every other minute.I mean Mr Corry of course who has something against taking on any topic the establishment do not want debated or acted upon. 1st time I ever saw a bunch of politicians agree to do something so fast! 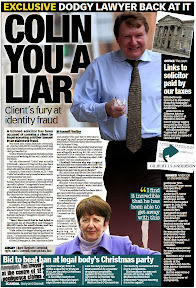 Carloway is just a yes man to SNP and has them in his back pocket so beware.